Or Holy Saviour Parish Rectory, 610-485-2520. The event was a great success and our biggest turn out yet. We had around 145 guest. A great time was had my one and all plus we ended up making a few dollars for the Church, not a bad evening. As usual I did not get to take any pictures. I only have a these few of the booklet and tap markers. Thank you all, looking forward to next year. All there beer is in and being staged at State Line Liquors. The Gaverhopke Extra turned out to be 10 liters larger than I expected. That's great for us, more of the 12% nectar to share. The door prizes and raffles are shaping up nicely. 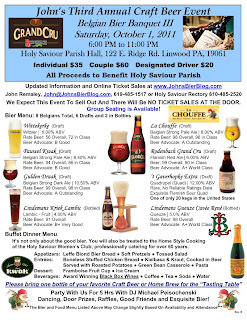 The raffle will include a bottle of Trappist Westvleteren 12. Widely recognized as the best beer in the world. Yes, I decided to raffle off my last bottle of Westy 12. I have been cellaring this bottle for a year now. It's going to me phenomenal for the winner. We still have some room but I need to know and have payment ASAP to secure a seat. The tickets for any new purchases will not be mailed. 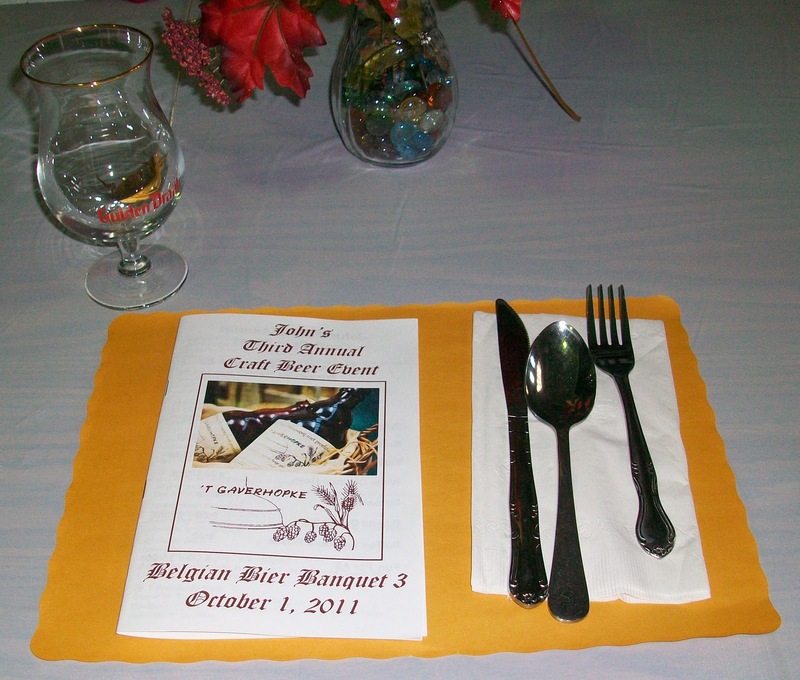 The will be held at the "Will Call" table to be picked up the night of the event. I am really excited about this year’s event. 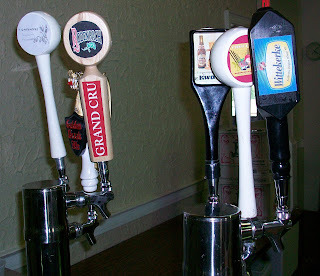 As usual we will be featuring 8 Belgian beers in all. 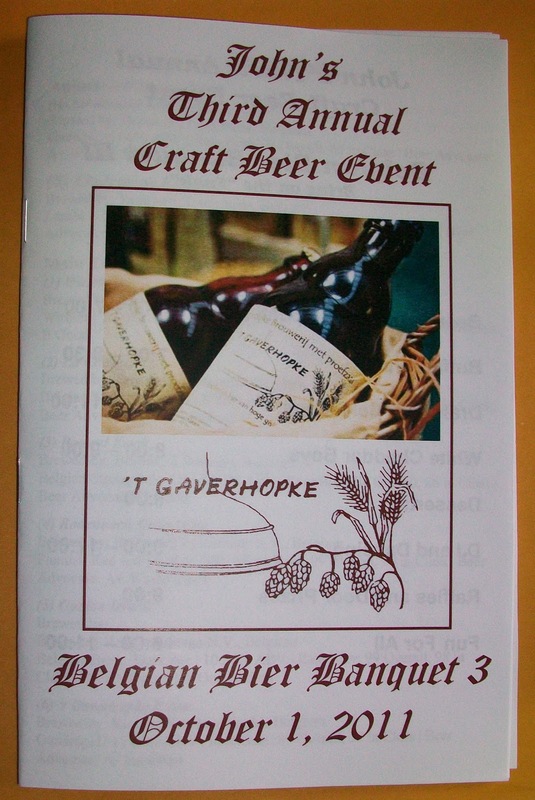 But this year I have some really extraordinary Belgian Ales in the lineup. If there was a theme to this year’s event it would be “Bring on the Funk”. The “Funk” that I’m referring to is that sourness that is found in the beers from the Flanders Region of Belgium. 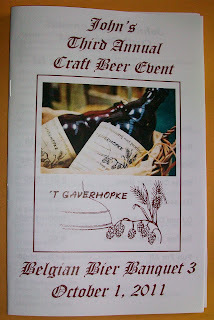 I figured that after three years of hosting these events it was time to introduce our guest to these unique styles of Flemish Ales. So three of our eight beers will have some touch of sourness. The first taste of "Funk" for the night will be from a sampling of a traditional Gueuze, Lindemans Gueuze Cuvée René. The Gueuze is a lip smacking sour blend of old and young Lambic ales without the fruit. Not for everyone but you still have to try the Gueuze at least once. 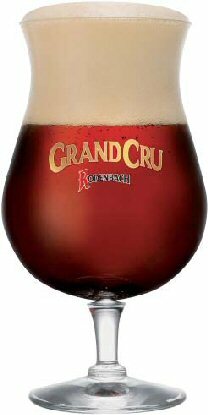 Next in the Funk category we will have Rodenbach Grand Cru. This will be on draft in the middle of the main event line up. This is a rich Flemish Red that is a blend of a 1/3 young ale and 2/3 ale aged in oak barrels. This wine-like Flemish Red Ale is rich but also sweet and smooth drinking with just a good touch of sourness. 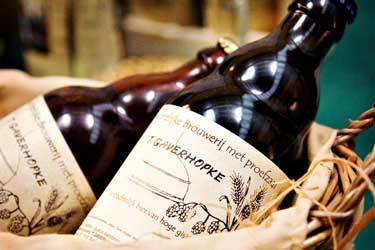 And finally the star of the show will be, ’t Gaverhopke Extra. This is an exquisite 12% ABV Quadruple with a slightly sour flare. This particular beer is very hard to find in the United States on draft. I have been trying to get this delectable ale for two years now. Actually we will have one of only 20 kegs in the United States. What a treat! I can't wait to share this experience with you. That was only 3 out of the 8. Filling in the remaining 5 ales in the lineup are no chumps either. Wittekerke, A Witbier that may be my new gold standard for this style. This beer is extremely refreshing and easy drinking. This will be the first beer in the 6 keg main event lineup. La Chouffe, An excellent golden Strong Pale Ale from the Brasserie d'Achouffe. A Strong Pale ale with the alcohol artfully masked inside of the light malt sweetness and refreshing citrus notes. This will certainly be a crowd pleaser. Pauwel Kwak, One of my favorite Belgian Strong Ales. I have been trying to work this beer into my lineup for 3 years now and finally found the perfect spot for it. Just a little more robust than the La Chouffe it will make the perfect complement to the lineup. This Belgian has even been on my Thanksgiving Dinner Table. Gulden Draak, An exceptional Belgian Strong Dark Ale that has the dark malt flavors of an Abbey Quad with dark fruit esters and a velvety smooth finish. This delectable Dark Ale comes in at a wrapping 10.50% ABV. And yet still not the heavy hitter of the night compared to the 12% ABV Gaverhopke Extra. Lindemans Kriek Lambic, A delicious Cherry Fruit Lambic. This is actually going to be sampled at the beginning of the evening with the Lindemans Gueuze Cuvée René. Those two sampled together will give our guest an interesting comparison between a Gueuze (sometimes refereed to as a raw Lambic) and the Cherry Fruit Lambic. This is always a big very big hit. The idea is that everyone brings a bottle of their favorite craft beer to share. But the success of this table relies on what everyone brings, so don’t forget to bring a bottle of your favorite craft beer or homebrew for the tasting table. It’s not only about the good bier. You will also be treated to the Home Style cooking of the Holy Saviour Women’s Club; professionally catering for over 60 years. 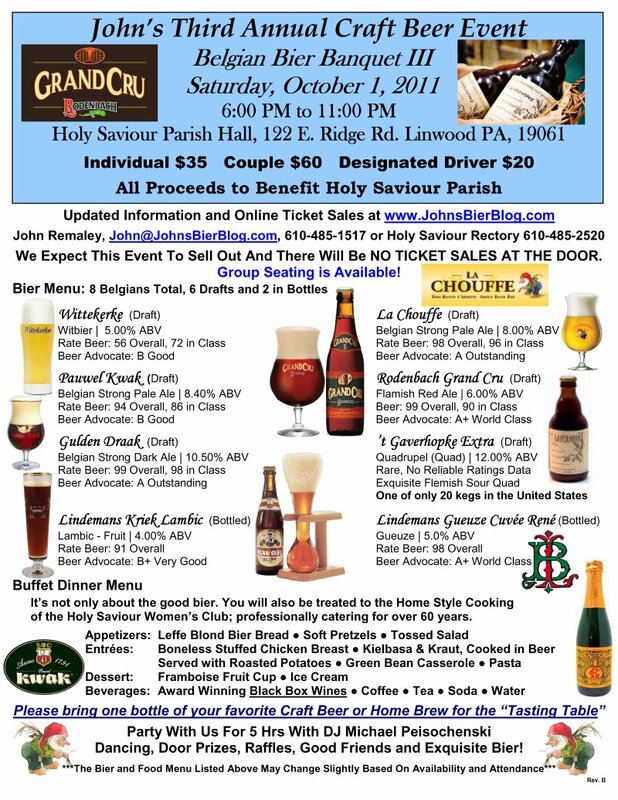 We are also having Door Prizes, Raffles and a 50/50 to help raise some money for Holy Saviour Parish.